I’m such a Mom of boys. I definitely would not have appreciated this toy for all it’s epic grossness before I had kids. What do you think? 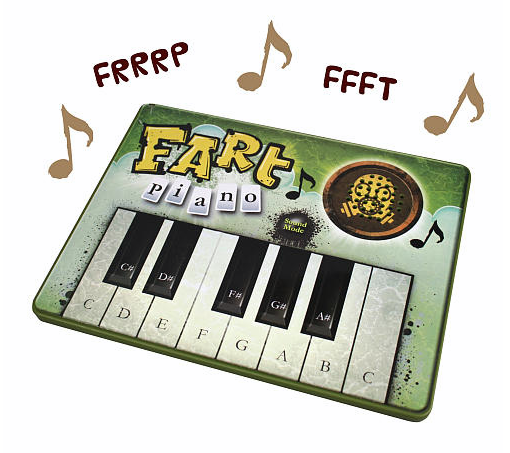 It’s the Fart Piano, $19.99 on ToysRUs.com. What do you guys think? Gross, entertaining or both? I love that your girls call them “duckies,” that may be the cutest name I’ve heard for it yet!